Social Services Minister Lisa MacLeod stressed there would be a "lengthy and compassionate runway" to end the program. 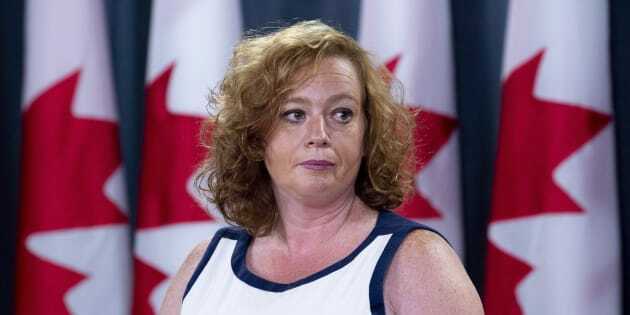 Lisa MacLeod, Ontario's Minister of Children, Community and Social Services speaks with the media in Ottawa on Aug. 13, 2018. TORONTO — Thousands of people participating in Ontario's basic income pilot will receive their last payment on March 31, 2019, the province says, but an anti-poverty activist says the six-month wind down will still hurt many who were depending on the program. After pulling the plug on the pilot last month, the Progressive Conservative government said Friday the final payments to the 4,000 low-income recipients in several cities will be made on that date. The clarification comes after Social Services Minister Lisa MacLeod denied reports that the payments would end in August, stressing there would be a "lengthy and compassionate runway" to end the program aimed at lifting people out of poverty that was launched by the former Liberal government. "We have a broken social service system," MacLeod said in a statement. "A research project that helps less than 4,000 people is not the answer and provides no hope to nearly two million Ontarians who are trapped in a cycle of poverty." Along with the cancellation of the pilot, Ontario promised to complete a review of the province's social assistance programs by Nov. 8. The basic income pilot project was set to run for three years, providing payments to 4,000 low-income people in communities including Hamilton, Brantford, Thunder Bay and Lindsay. Single participants receive up to $16,989 a year while couples receive up to $24,027, less 50 per cent of any earned income. The Tories had promised during the spring election to preserve the $150-million pilot, but MacLeod later said it would reverse course because the program was "failing" — a claim experts have disputed. Tom Cooper of the Hamilton Roundtable for Poverty Reduction said the six-month wind down will not be enough time for many people. "It still leaves many basic income participants in impossible situations," he said. "Many have signed one year lease agreements with landlords and they can't get out of those leases and they can't afford their new rent. There's many people who plan to go back to school in September. Whether that will still be a reality for them with a longer wind down is questionable." Cooper said the government has only now extended the wind down because it was under pressure. "While it seems that this might be a little bit longer wind down than initially feared, I think that's only because there was so much pressure on them and there was very little compassion shown by the government in the early days," he said.